We introduce Mt. 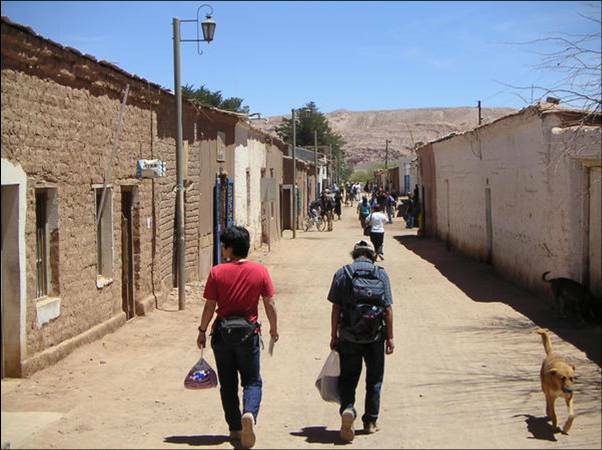 Chajnantor, where TAO will be constructed, and San Pedro de Atacama, which is a town close to Mt. 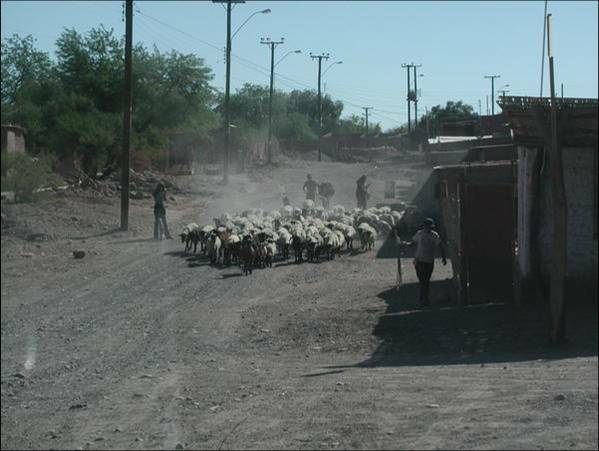 Chanjantor. 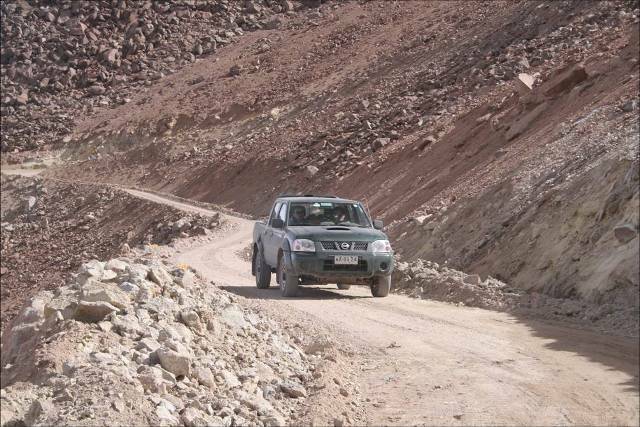 We completed the construction of a road to the summit of Mt. 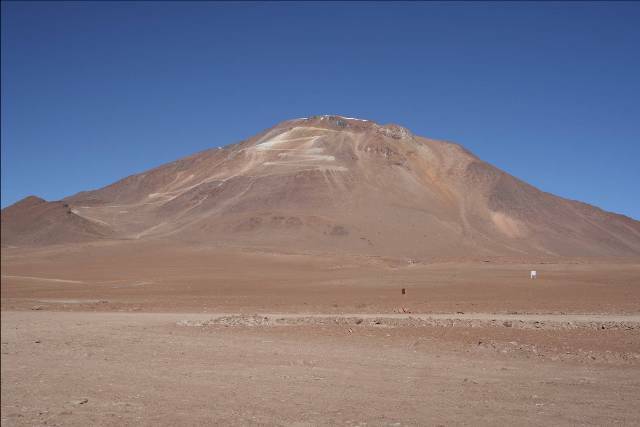 Chajnantor, where TAO will be placed, in April 2006. A weather monitor and an infrared cloud monitor have been installed there, and automated acquisition of meteorological data and cloud cover has been started. 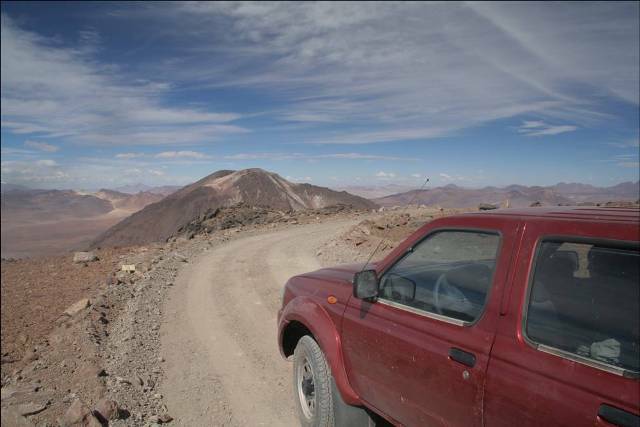 ▲ White jagged lines seen on the mountain surface are the road to the summit from the foot of Mt. Chajnantor. 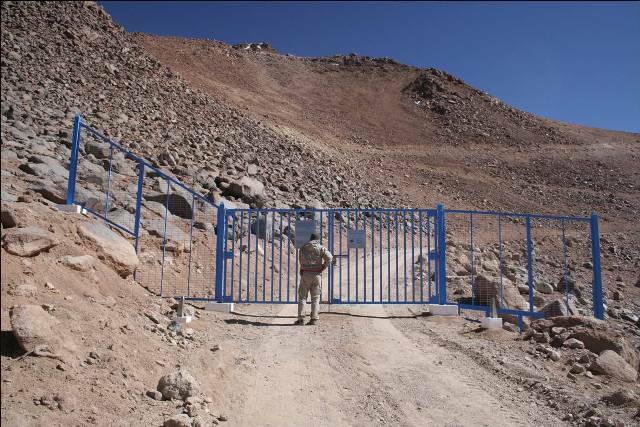 ▲ A blue gate at the starting point of the road to the summit. ▲ A view of the TAO road. ▲ A view from the TAO road. The mountain seen behind is Mt. Chascon. ▲ A container built at the summit of Mt. Chajnantor. 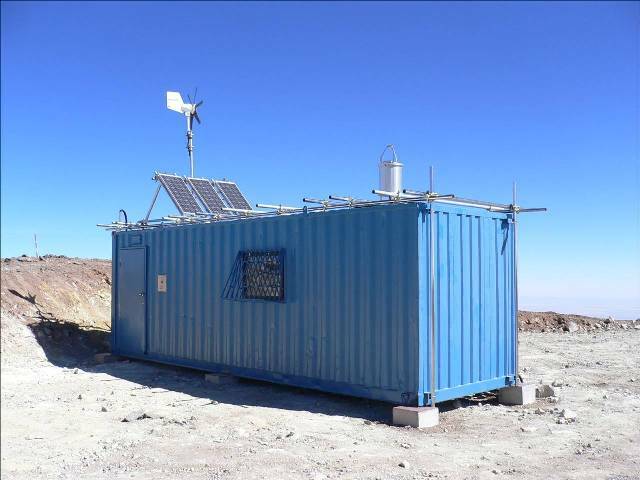 An infrared cloud monitor and a power generator have been placed on the roof of the container. 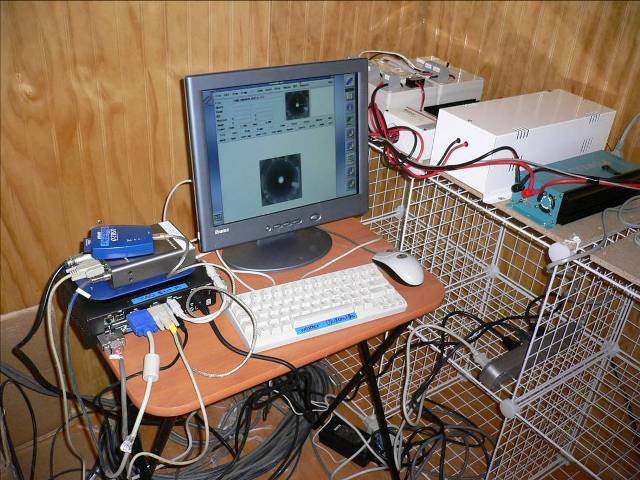 ▲ The display of the infrared cloud monitor in operation. 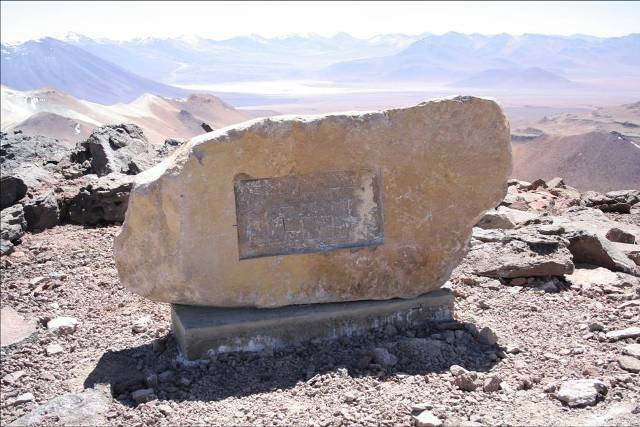 ▲ There is a monument to celebrate the friendship between San Pedro de Atacama and Japan at the summit of Mt. 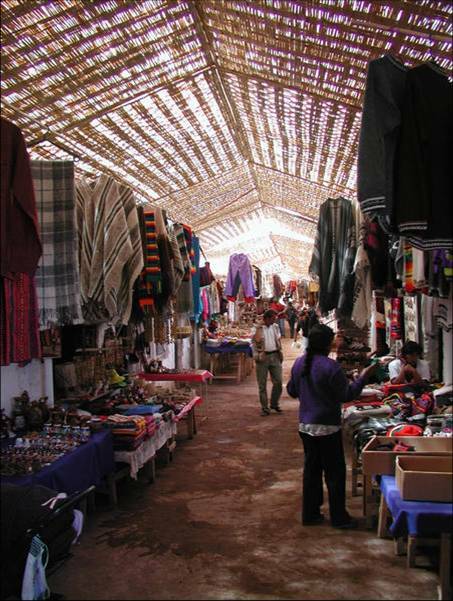 Chajnantor. 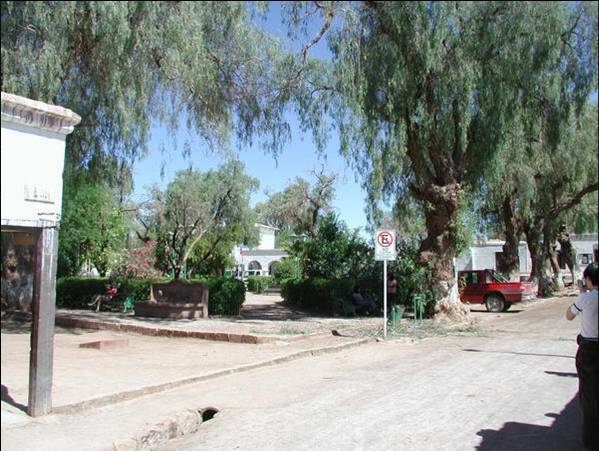 San Pedro de Atacama is about two hours' drive from Mt. Chajnantor.